THIS Saturday, June 22, we will be at the Sacramento Natural Foods Co-Op’s 40th Anniversary Bash from 12-4pm. We will have a market booth, amid entertainment, food, and beverages. It’s free and open to the public! 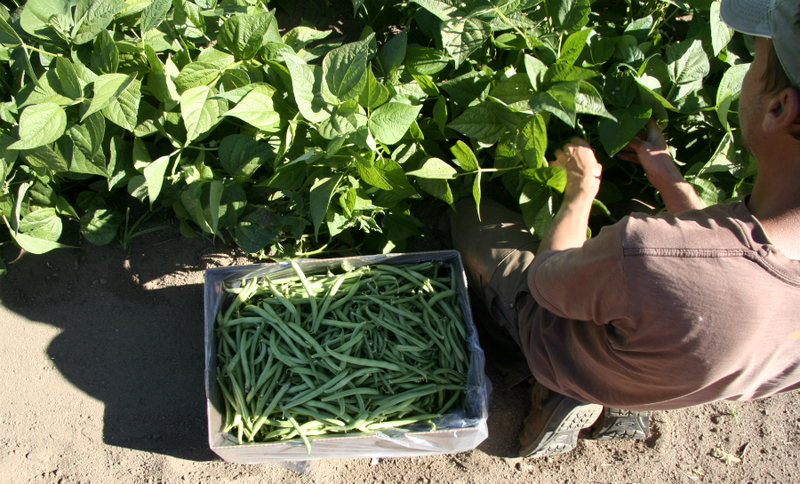 Meanwhile, summer harvest is in full swing here at the farm. We could talk for hours about all the beautiful and delicious bounty coming out of the fields, but for now you can learn a little bit about our potatoes, since all of our varieties are now in circulation to CSA members and markets. Whether you eat many pounds of potatoes, or just a few french fries perhaps, they are an enormously important aspect of history and modern food. Over the course of 7-10,000 years of domestication, people have created over 1,000 subspecies and about 5,000 varieties of potatoes (3,000 of which exist only in the Andes). This diversity has led to potatoes being a staple of diets worldwide, and it was the initial lack of diversity in the European crops that made it vulnerable to disease, and which ultimately led to the terrible Irish Potato Famine. We grow a handful of potato varieties here at the Natural Trading Co. Although the healthfulness of potatoes is sometimes debated, the truth is that they provide nearly everything a human body needs to be healthy, aside from vitamins A and D. So a healthy human diet could be merely potatoes and milk or butter. Some researchers believe that the Purple Majesty might soon be described as a “super food” (AKA really healthy), as it has very high levels of antioxidants. The Desiree has red skin, light yellow flesh, and a creamy taste – ideal for mashing or sauces. The Nicola is waxy and golden yellow inside and out. The waxy quality means less starch and more moisture, making it ideal for potato salads. Also…boil, mash, roast, or fry! German Butterball, a staff favorite, is a golden, buttery russet-type and the red-skinned Sangre is excellent for baking and boiling. Don’t forget to visit us at the farmers’ markets to try these tasty treats: Truckee and Roseville on Tuesday, Tahoe City on Thursday, and Auburn and Rocklin on Saturday.